This vision of success obstructs the way of the Lord, a way of humble openness to those the world may overlook. Jesus says that, as they honor a child, true disciples honor Christ. The child symbolizes all who are needy, helpless and vulnerable, all those who cannot return a favor or profit us in any way. 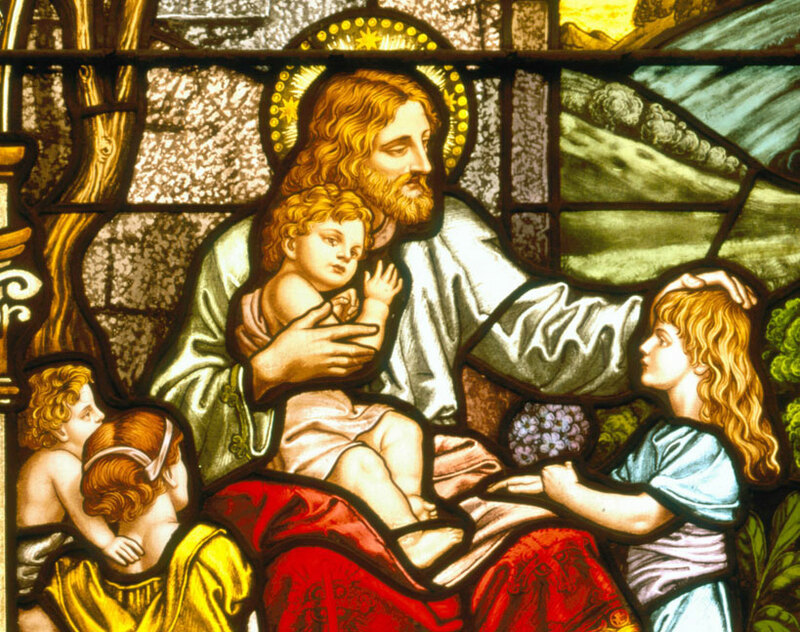 Jesus takes the child into his nurturing embrace, demonstrating the manner in which we must receive the weak. According to a rabbinic treatise, the resurrection of the people of Israel will happen when “God embraces them, presses them to his heart and kisses them, thus bringing them into the life of the world to come” (Seder Elijahu Rabba 17). Something like that has happened to the children . . .
How did the children merit such a reception? Absolutely no condition is made. The children have not yet reached even “the age of the Law,” and they therefore have no merit. Nothing is said about their innocence, their childlike confidence or any other such qualities . . . God’s will is to present the children with [God’s realm], and against all human calculation this is done in a totally gratuitous way . . . This gratuitous love of God, assured to the children in Jesus’ prophetic words and action, turns upside down . . . classifications. Children receive a place of preeminence, if human realities are considered from the point of view of Gods’ [dominion]. Hans Rudi-Weber, Jesus and Children: Biblical Resources for Study and Preaching (John Knox Press, 1979). So who is wise and understanding? Who is truly the greatest? In God’s kingdom, the greatest is the one who follows the example of Jesus and puts aside worldly considerations of power to become servant of all. What kind of attitude is needed to receive a child? Who are the “children” in today’s society? In what ways is your Christian community receiving these individuals? In what ways do you receive them? Compare Jesus’ view of the kingdom of God with your own. Whom have you unconsciously wished to exclude from the kingdom? In what ways do these verses enable you to broaden your understanding of the kingdom? In what context are we admonished to be a “servant of all” (v. 35)? What is involved in servanthood? What relation does this phrase have to the ministry of Jesus and the mission of the Church? How are you called to be a servant in your daily life? How do we welcome Christ in our lives? This entry was posted in Ordinary Time and tagged children, Christian Education, Discipleship, Gospel of Mark, Jesus, Kingdom of God, Lectionary. Bookmark the permalink.